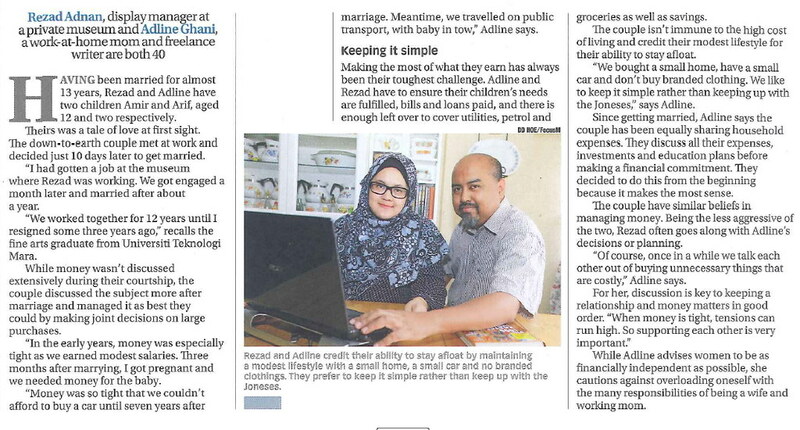 Last year, My husband and I were interviewed by Focus Malaysia, where we discussed the financial decisions and money-saving efforts that we do as a couple. It was then that the interviewer told me about Shopback, which is a way to save money when you shop online. Basically, with Shopback, with each purchase you make at an affiliated store, you get some cash back (which is why they call it Cashback). Blast from the past - our interview with Focus Malaysia. As a work at home mum, with two kids and my mum to look after, I rarely have the opportunity to go out and shop. I pretty much rely on online shopping, which is why it made sense for me to sign up with Shopback. In the beginning, when I started on Shopback, I didn't quite understand how it worked. But a few months down the line, it all made sense. While I haven't racked up thousands of savings like some Shopback users, a few hundred back in my pocket isn't a bad thing! Since then, I've managed to save quite a bit in my account and I've done two withdrawals. I've earned Cashback for buying stuff I need, ordering food and booking hotel rooms... and you can too! If you like to shop online, you should definitely check out Shopback!